We traveled to Houston to celebrate Christmas this year. We still have family in Texas, me with a lot more than Sean, so we appreciate the trip as a way to reconnect. This year it came with a warm surprise due to higher than normal temperatures for Christmas day: balmy, sunny 80 degree temps. I attempted to find a picture of us outside while we were there and couldn’t as we obviously avoided the heat. A picture with Santa in the airport. 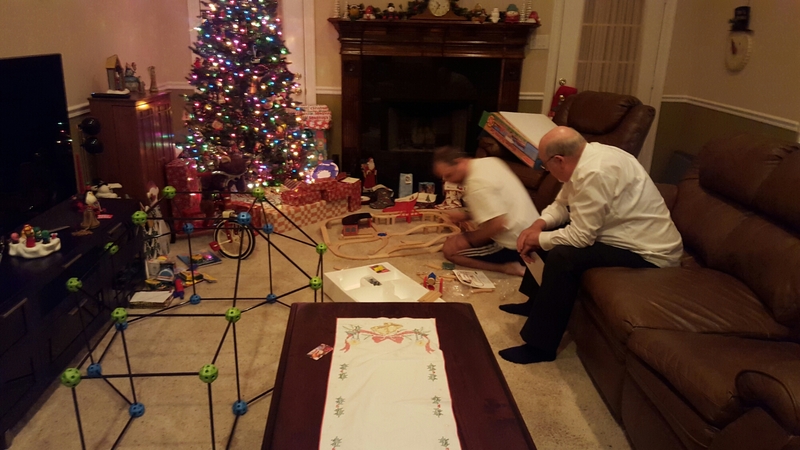 Putting together presents on Christmas Eve. 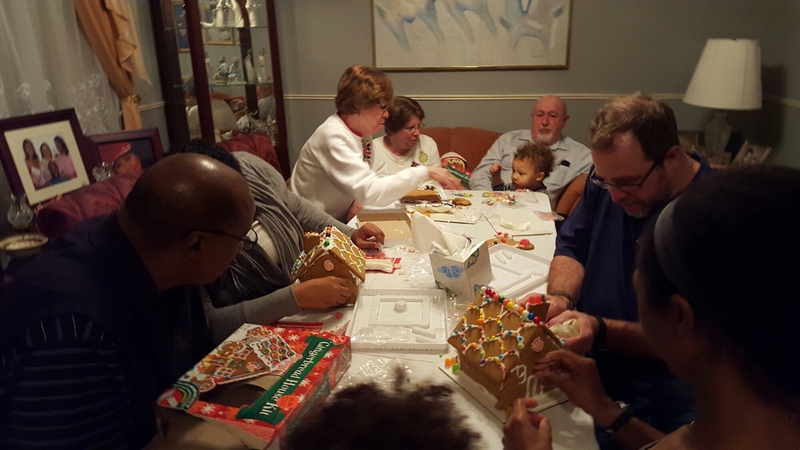 Building gingerbread houses, at breakneck speed. 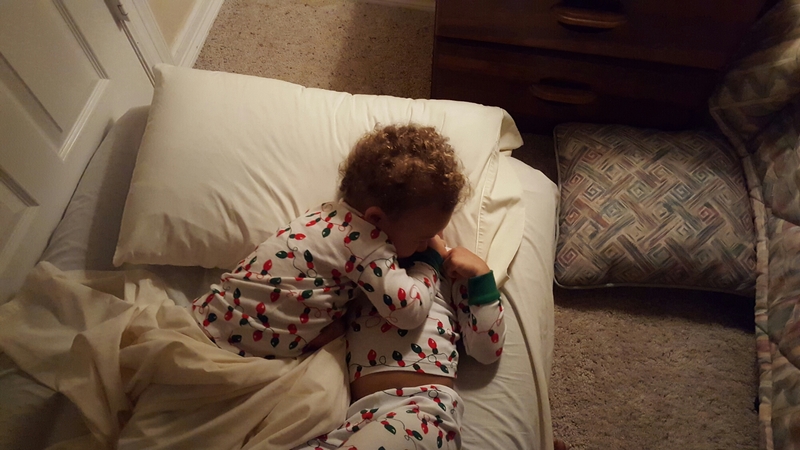 Cute Christmas pajamas and sibling cuddles, or chokeholds, depending on who you ask. I’ll add more to this post as I collect the evidence of merry! This entry was posted in Family, Travel. Bookmark the permalink.